Collection of famous Kongo proverbs, true sayings and wise words. Use words and image sayings to keep you moving forward! 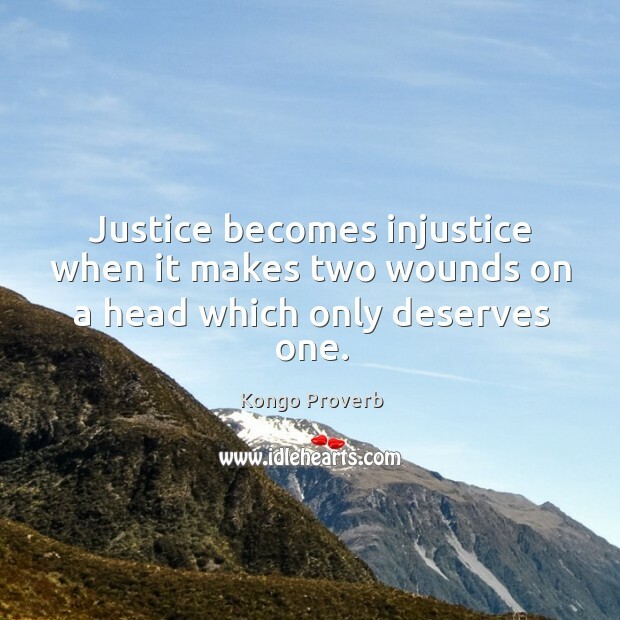 Justice becomes injustice when it makes two wounds on a head which only deserves one.